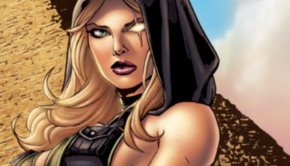 Here’s a brand new female lead in the Zenescope universe. I love a good female lead, but I’m beginning to wonder if they’re ever going to give us a male lead again? 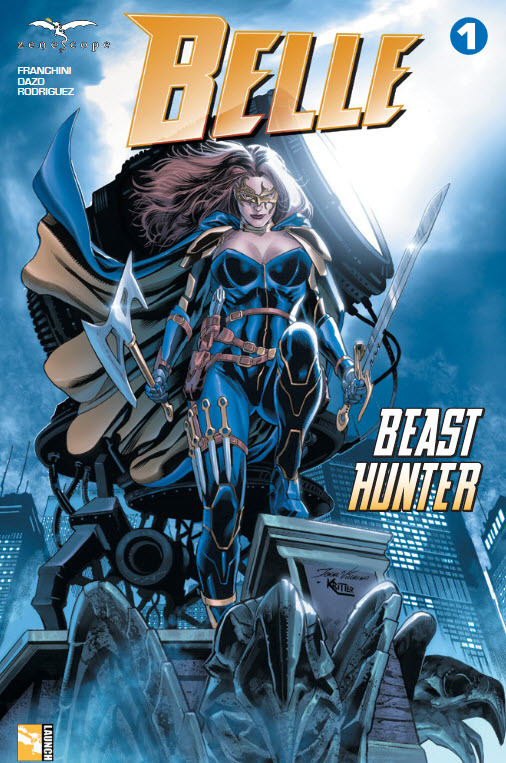 Anyway, the opening to this story is loaded with the action fans have come to expect from a good Zenescope title. The titular titan finds herself at the national museum of American History doing battle with a minotaur at midnight. One thing I love about this title already is it’s use of mythological Greek characters. I keep hoping that a cool centaur will show up somewhere as an on-going character. (A centaur does show up later, but not the kind I was hoping for.) Belle transports the corpse through some type of hand held transporter, exposition tells us that she can’t transport herself with it, due to it being harmful on a living being. Opening scene is an A plus! 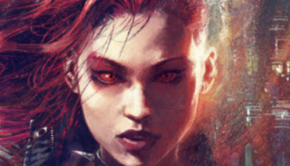 Brusha, Tedesco and Franchini take the lead character reminiscing after her battle with the mythological beast. She has a conversation with the on-board computer of her ship, reminiscent of Tony Stark’s conversations with Jarvis in the Iron Man movies. Then we flash back to Belle as a little girl. It seems that her dad was an ordinary air force type of guy, but her mom was a descendent of monster hunting amazons. One-day mom brought home an orphan boy from “work” his name was Alex, I don’t want to reveal too much, so, let’s just say that their lives were going to change. This trio is bent on showing how tough the title character is and they succeed tremendously. It’s a strong beginning to a totally new type of superhero story. It’s great stuff! 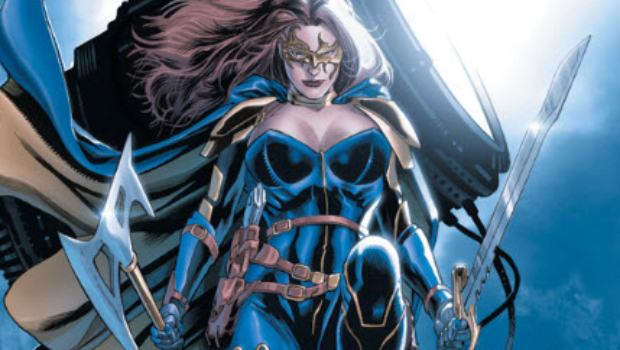 Bong Dazo gives us great imagery and attention to detail as he brings Belle to life, the thing that stands out the most is her costume, it’s a cross between Amazonian, civil war type of coats and the old corset’s women used to wear. I loved it, a purely unique boutique. The battle scenes between Belle and the Greek creatures was very enjoyable and the final splash will definitely leave you wanting more!